Father's Day is the perfect time to let your son-in-law know how much you appreciate him. This loving 5" x 7" Father's Day card displays your caring feelings within the inside verse. A white envelope is included. Printed in the USA. 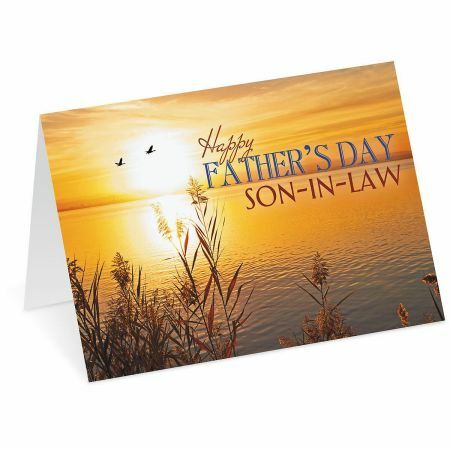 Inside: You're not only a wonderful Son-In-Law, you're also a wonderful dad! Thanks for all the happiness you bring to your family.